Nail the art of layering with this beautiful, off-white sweater that is a winter must have. 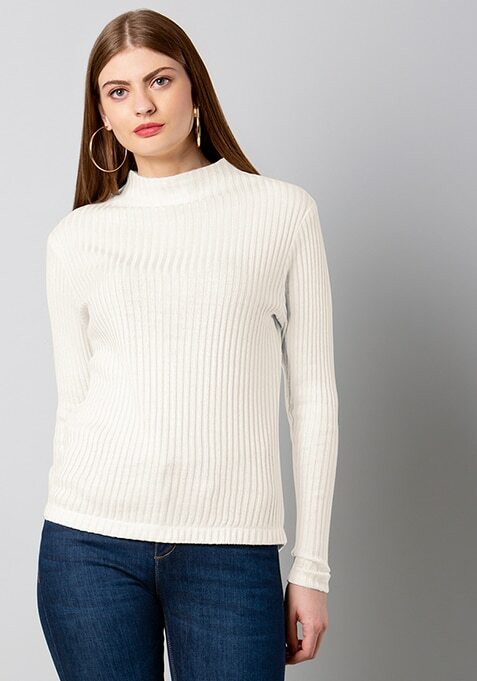 Features high neck and full sleeves. Work It: Try it on with a pair of high-waist jeans, boyfriend blazer and pointy toe shoes to keep your winter look on point.